Short-eared Owl at Gapton Marshes. Spotted Redshanks x 3, Red-crested Pochards x 7 at Titchwell RSPB. MEGA! HARLEQUIN DUCK still, North of Aberdeen, Scotland. 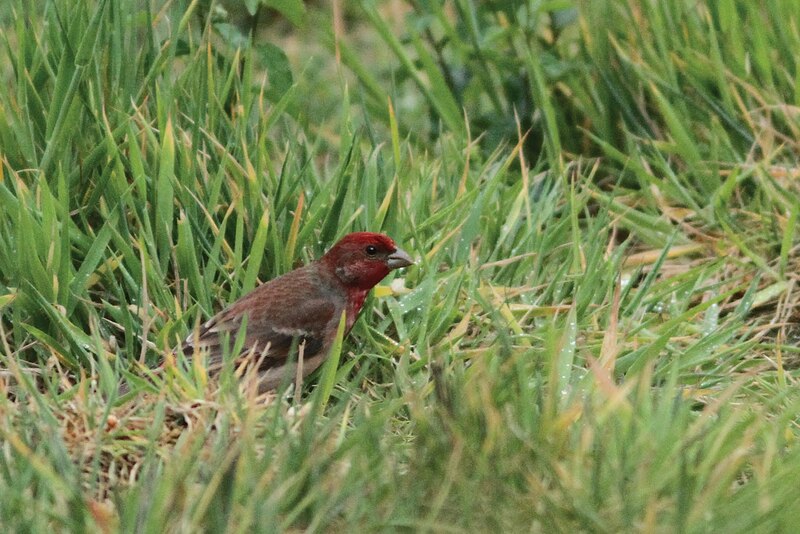 Gargeney x 2 (at Beach Pool), Lapland Buntings x 2, Snow Buntings x 3 at Weybourne. Rough-legged Buzzard, Short-eared Owl at Breydon Water. Little Gulls x 2 at Barton Broad. 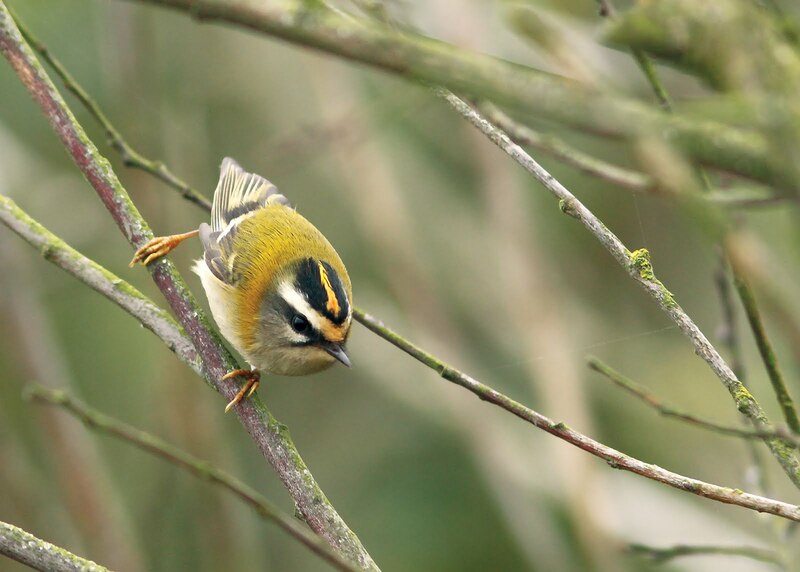 Firecrest at Strumpshaw Fen RSPB. MEGA! HARLEQUIN DUCK at Brora, Scotland. at St. Mary's Church, Holme-next-Sea – 30th March 1964. 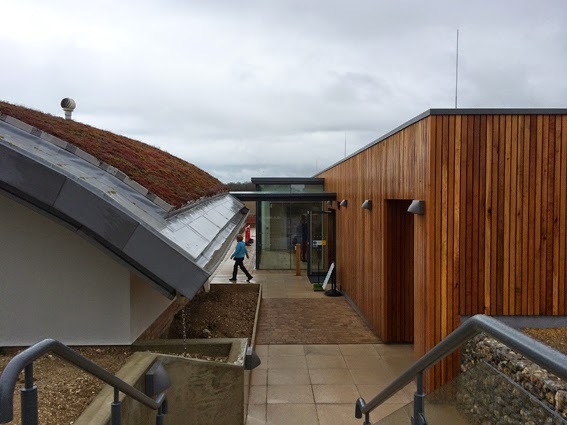 Out Birding At Last AND The New Simon Aspinall Wildlife Education Centre at Cley NWT!!! I woke up really early, too early and still felt tired, but couldn't get back to sleep. I didn't have the energy to fly about and sat at the kitchen table enjoying toast and marmelade. 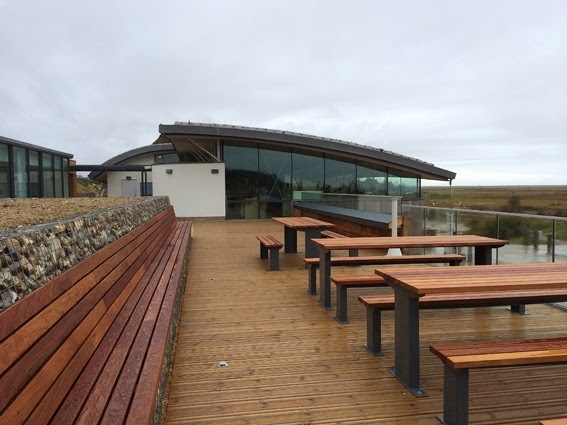 Whilst reading the lastest NWT Tern newspaper, I read that the Simon Aspinall Wildlife Education Centre at Cley NWT opened yesterday! I didn't realise that it was anywhere near finished, never mind opened! Visited parents briefly to drop some washing in that I had done whilst Father was in hospital and other items. Father said good morning and then promptly fell asleep. He had slept in much longer than he normally does, obviously still exhausted from his hospital experience as we all are! It was a disgusting day weather wise, with 55mph winds, lashing rain and flooded roads. Somebody up above could have been kind to me and given me a sunny day, surely?!!! Cruised slowly along the coast road. Stopped at Burnham Overy Staithe at the pull-in to scan the marshes and got lucky with a Rough-legged Buzzard being harrassed by Lapwings and a Marsh Harrier! Good start to my day! 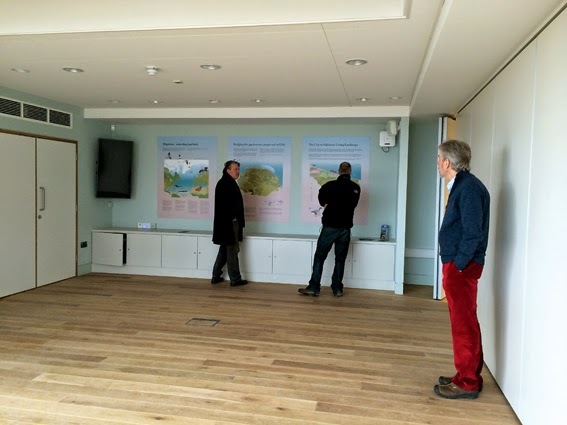 Arrived at Cley NWT Visitor Centre for my lunch and to look round the new centre. Met up with Pete S. and Eddie M. a bit later. When I reached the top of the stairs it looked much more spacious and the reception desk, has moved back and is much bigger. I had a lovely jacket potato with cheese and coleslaw with salad. The door to the old toilets now leads to a staff office. You now have to walk out of the building (where the picnic tables were) and walk across to the new building where the new toilets are situated. 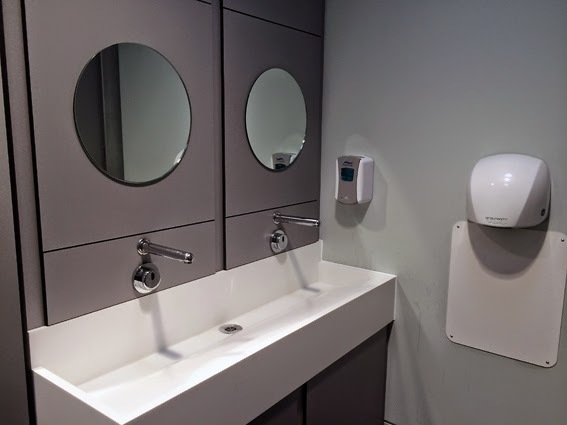 Further to walk when you want a quick loo stop before racing down Blakeney Point for that mega, but the good news is, that there are now THREE ladies loos, with full length mirror (yuck.... LOL) and all mod cons! Thought I was in a 5 star hotel when I walked in there! 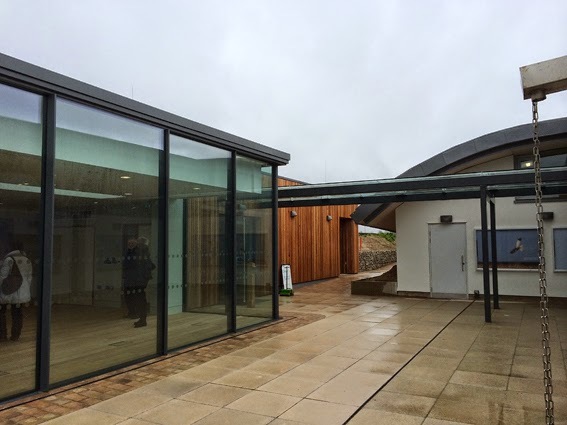 The Simon Aspinall Wildlife Education Centre at Cley NWT opened yesterday – Saturday 28th March and very impressive it is too. There are still final touches to be added, but it looks amazing. 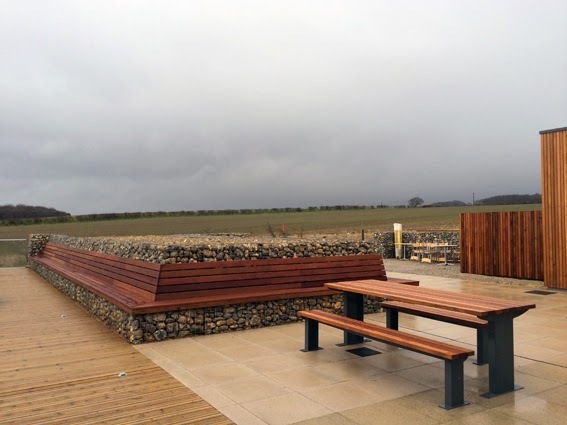 My favourite part is the wooden seating and viewing area – I can imagine standing here watching Alpine Swifts and Cranes overhead! 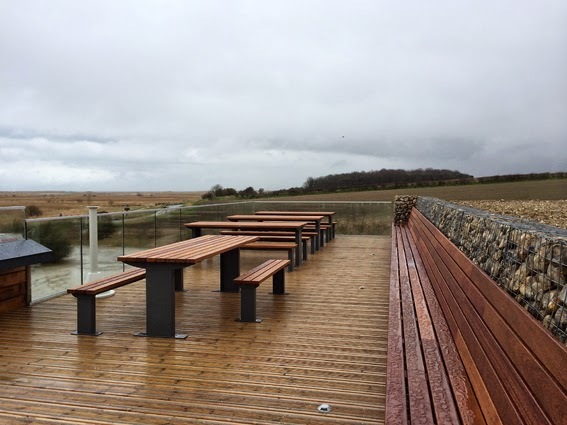 There is now far more seating for people to sit outside now and also a large decking area which is fenced with glass/plastic panels and all looks very modern and eco friendly. 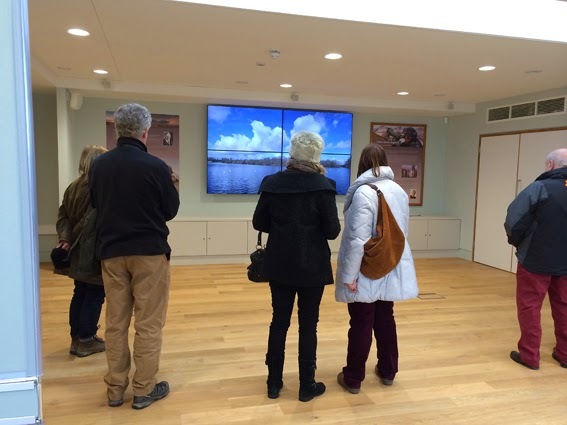 Large photographic displays adorn the existing building and a new walkway leads to CleySpy. 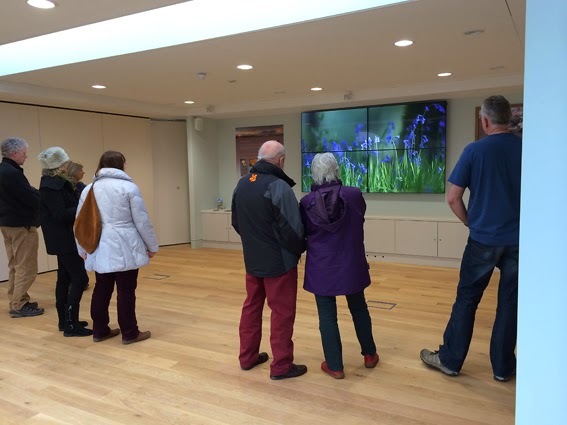 The centre has a large multi-function room, which can be divided into two and the space incorporates state of the art audio visual equipment, including video wall and surround sound. Pete and I were shown the education room which is not quite open to the public yet – still several displays to be added in here which all sounded amazing when David North was explaining everything to us. My link to the opening is HERE. Eddie, Pete and I re-located to coastguards. I got VERY excited when I saw the lovely new seating in the shelter, but extremely disappointed to find that it was only on the side that faced inland!!! Come on NWT, please add the side seats and the sea facing side PLEASE!!! We walked east alongside the Eye Field and Pete sharply spotted a Wheatear – my first one of the Spring! 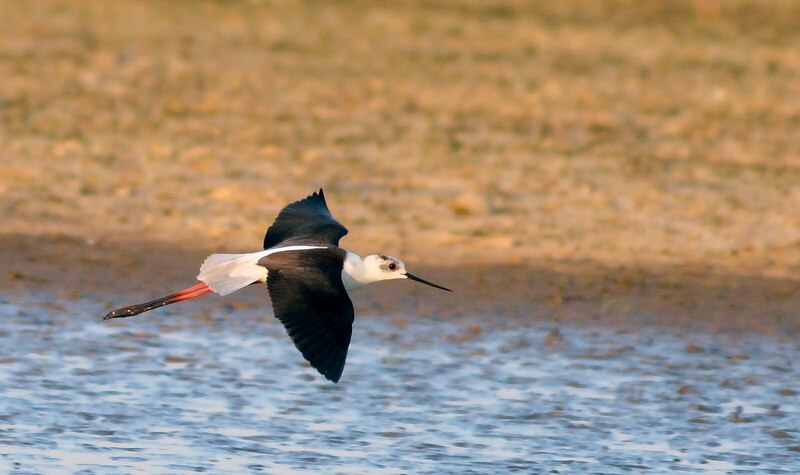 I counted 25 Avocets on North Scrape. Not much else was seen here. We trudged back to the carpark. 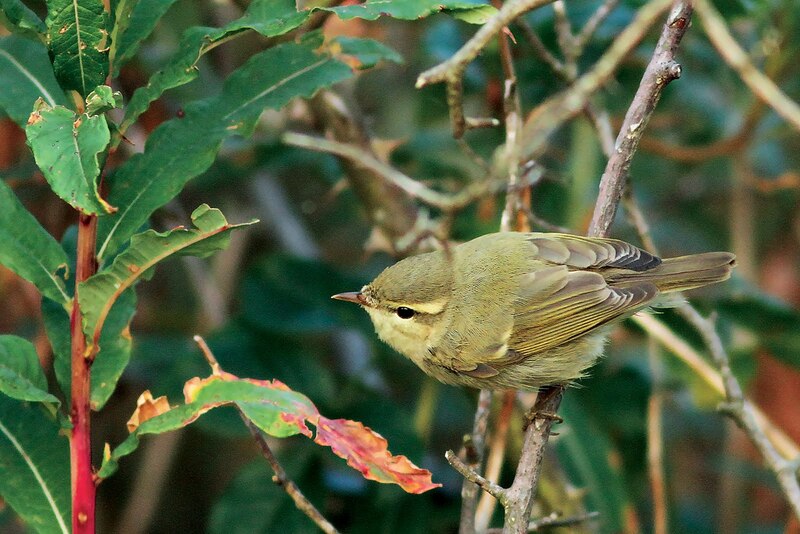 At Walsey Hills NOA I heared two Chiffchaffs along the bottom path. Nothing else of note seen or heard really. At Beach Road, Salthouse I watched two Ringed Plovers, a few Lapwings and a Little Egret, but decided not to walk to Gramborough Hill, when I saw how flooded the paths were. At Weybourne Beach carpark I took a risk and didn't get a ticket for the car. Walked up to the gate to view the Beach Pool and could only see a pair of Mallard, no sign of the Garganey that were reported earlier today (and over the last few days). 12 Pied Wagtails were feeding on the grass slopes, just west of the pool. Suddenly I saw a ticket warden heading for my car! Where did he spring from?! Attempted to run over the shingle and luckily he hadn't slapped a ticket on my car yet. I was very lucky indeed and he pointed out where I could park free to save the risk of getting a ticket next time! Phew! 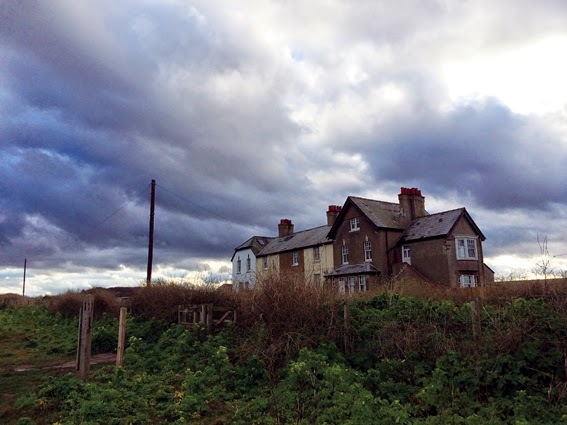 Parked up next to the cemetery by the windmill and walked down the track to the coastguard cottages at Weybourne, hoping for Iceland Gull and Lapland Buntings. No Iceland Gull in sight, but had approx half a dozen Lapland Buntings in the stubble field – not really close enough to photograph though – too distant and out of focus shots achieved. It was really cold now. Had a quick coffee and then drove home as the sun was setting. Nice to be home before it gets dark! Garganey at Hockwold Washes, Lakenheath Fen RSPB. Short-eared Owl at Thornham Point. 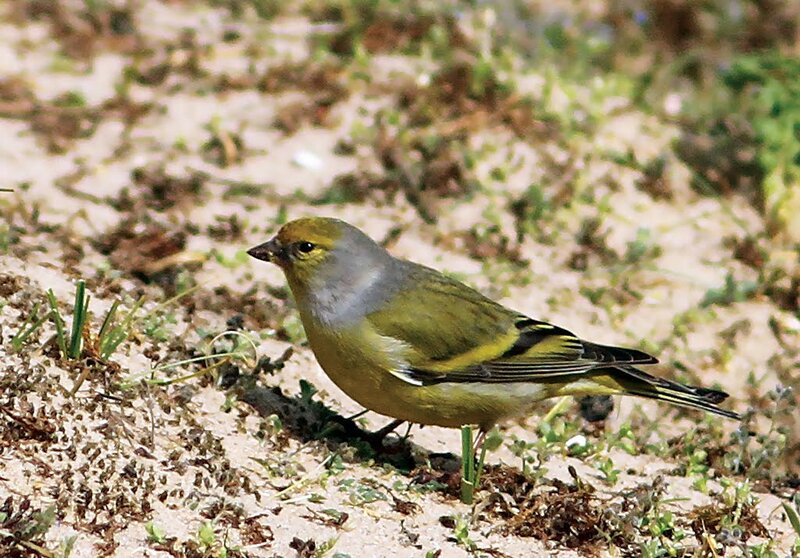 Gargeney x 2 (at Beach Pool), Lapland Bunting, Snow Buntings x 3 at Weybourne. Water Pipit at Buckenham Marshes RSPB. Garganey x 2 at Redwell Marsh NOA, Holme. WHITE-TAILED EAGLE unconfirmed report at 6.30pm, East Dereham. Great White Egret at Bayfield Hall. MEGA! AMERICAN COOT still, Balranald RSPB, North Uist, Western Isles. 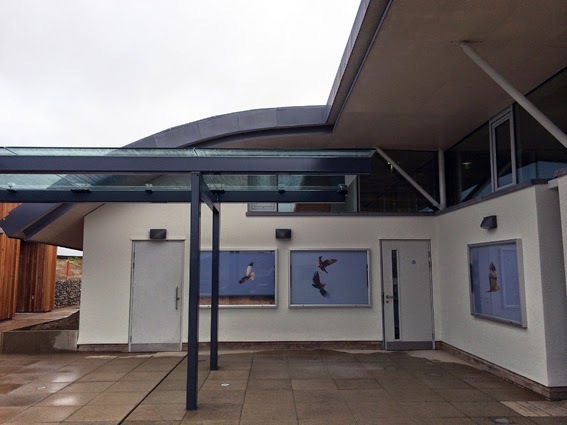 The Simon Aspinall Wildlife Education Centre at Cley NWT Now Open! 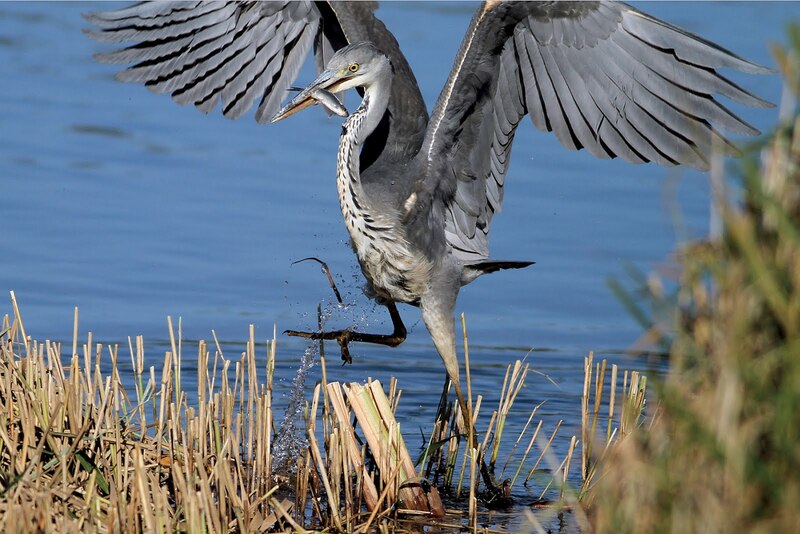 No Low Flying For Military Aircraft Over Cley & Salthouse Marshes! STOP PRESS! Fungus Found In Norfolk Is A World First!!! "The earthstar at Cockley Cley that differed slightly from the rare Rayed Earthstar. Experts at the time considered that it was merely a variant but recent re-examination and DNA sequence analysis has enabled mycologists in Spain to describe it as a hitherto unknown species. It has been given the name Geastrum britannicum, recognising, so far, that it has only been found in Britain." An electrican came out this morning to rig up my new light in kitchen at 8.30am – took 1 minute! Had to do several jobs this morning that I was supposed to do at the beginning of the week, before the hospital saga! Had to make numerous phone calls to the hospital and spent a long time talking to an excellent locum physio called Nick W., who had walked Father 10 metres with a rollator frame yesterday and 5 metres today. He also made a very interesting diagonosis of my Father, which he thought I would be alarmed by, but I wasn't – lots of things now make sense, although not appropriate to talk about on here really – well, not at the moment anyway. Family friends Eileen and Malcolm very, very kindly popped over to Mother's this morning, to give her some pads etc for Father – thank you very much indeed x. The ambulance transport was booked for 2pm to take Father home, but on a Saturday it can be any time. Did food shopping for Mother and other errands and arrived at Holme around 2.20pm. Mother and I chatted, prepared for Father's arrival, had cat naps and twiddled our thumbs. He eventually turned up at just after 6pm!!! He was very emotional and pleased to be home. As last time, it was a job for the ambulance crew to get Father into a wheelchair and down and up the steps into the house. Once settled in the armchair he looked relaxed. After his tea he fell asleep. After that he became very, very irritable. Mother and I were not allowed to talk or discuss anything without him shouting at us. I had intended on helping my Mother to get Father out of his clothes and into pyjamas, but he was adament that was not going to happen and sent me home with lots of ranting etc. Not fair to my Mother at all – she needed help as still not recovered from her cold. She managed to do this after I left. I felt so worried about them both as I drove back to King's Lynn, nothing else I could do though. 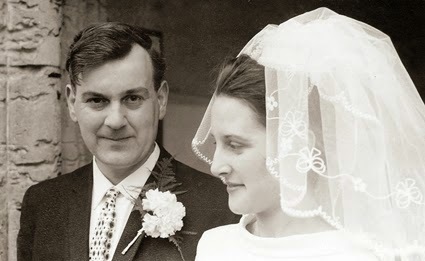 Arrived back in King's Lynn at 9.30am – did the supermarket run and bought a Wedding Anniversary card for my parent's – their 51st anniversary is this Monday 30th March. Last year was their Golden Wedding Anniversary. No birding again. Will try and get out tomorrow, depending how I feel. Right now I sense a head cold coming on. Just dosed up with Lemsip. CLOCKS GO FORWARD ONE HOUR AT 1AM! Water Pipit, Woodlark (yesterday) at Buckenham Marshes RSPB. Lapland Buntings x 2, Snow Buntings x 3, Garganey x 2 (at Beach Pool), Weybourne. Long-tailed Ducks x 2, Water Pipit, Jack Snipe at Titchwell RSPB. Black Redstart (for 2nd day), Black Brant at Stiffkey. Shorelarks x 5 at Blakeney Point. Twite x 20 at Salthouse. Great White Egrets x 2 at Welney WWT. MEGA! HARLEQUIN DUCK still, Brora, Highland, Scotland. Crazily busy day. After work I drove to Advanced Camera Services at Watton in Norfolk to pick up my checked and serviced cameras and lenses from the smoke damage. Shattered when I got back to King's Lynn. Had tea and then fell asleep. Went to visit Father in hospital at 8.30pm. He was in bed with his clothes on and had refused to take them off. Glad I went as he was the sweetest he has ever been with me and put his hand on my face and said 'what a lovely surprise' – it didn't last long though and declared he wanted to go to sleep. I let him know that he is coming home tomorrow. Mother is not really well enough to be honest, so I will have to help her out this weekend. DIPPER reported on 5th March at Buxton Mill. Jack Snipe at Thornham Marsh. Jack Snipe, Water Pipit at Titchwell RSPB. Spotted Redshank at Silt Fen Farm, Downham Market. Black Redstart at Felbrigg Hall NT. Rough-legged Buzzards x 2, Hen Harrier, Spoonbill at Burnham Overy Staithe. White Wagtail at Cley NWT. Water Pipit at Hickling Broad NWT. Shorelarks x 8, Black Redstart, Spoonbill at Blakeney Point. Jack Snipe at Buckenham Marshes. Another Day In The QEH! I phoned the ward this morning before I started work – I didn't have the mental energy to go and see Father and also this affects my emotional state before I start work. The staff reported that Father had pulled out his cannula and had been shouting all night that he wanted to go home. I visited him at lunchtime and he seemed calm and was been fed his lunch by a very nice male NA. He firmly told me that if I didn't take him home in my car later, he would be going on the bus. 'How will you do that?' I said. 'With great difficulty' he replied. I still havn't been able to find out exactly what happened to Father on Tuesday night. When I finished work I was so tired, I went to have a power nap in the car before visiting father. Still exhausted from the A&E stint on Tuesday night. Father was sobbing his heart out uncontrollably when I arrived on the ward, because he wanted to go home. My sister Lucy had visited earlier and she had helped him to get clothes on with a nursing auxiliary as he wanted to go home. I got the brunt of it when I arrived. It was awful to see, simply awful. He just wouldn't stop crying. I explained Mother was too ill right now to have him home anyway, but he just didn't take it in. I ended up crying with him. Very nice staff on the ward and hugely supportive, especially one NA who went specially to get father bread and marmalade which he likes, as he wouldn't eat anything else. He got through half a box of tissues – never seen him in this state. He did settle a bit later and managed to eat the bread and marmalade. I helped to toilet him and then got him into bed. He asked for the lights to be turned out. I tried in vain to explain that the lights couldn't go out yet. He looked comfortable when I left. I plodded through the hospital, too tired to walk my normal speed. I fell on the sofa when I arrived home at 8.30pm. Phone calls with Mother and Vivien. No tea, hungry but too exhausted to cook anything. Wish there was someone to look after me right now, but there isn't so tough. Shorelarks x 8 at Blakeney Point. Little Ringed Plovers x 2 at Hopton-on-Sea. MEGA! HARLEQUIN DUCK still, North of Aberdeen, Scotland.MEGA! HARLEQUIN DUCK still, Brora, Highland, Scotland. Video: Norwich Cathedral Peregrine Falcons Have First Three Eggs Of 2015! No Sleep, At Work, Hospital – Pushed To All Limits! I arrived at work after no sleep whatsoever. I pushed myself to get through the day and managed very well, remained professional and worked hard. Although I broke down completely at lunchtime when going to visit my Father, who had been shouting all morning and demanding that he go home. I was shocked to hear his voice, which was deep and rasping. He had been shouting so much, he had a sore throat. He refused to eat until he went home. Even I was unable to calm him and I had to leave him in that state to return to work for the rest of the afternoon. My colleagues were brilliant. Through lack of sleep I was like a bubbling cauldron. All Father needed was someone with him, but staff are obviously unable to be with him constantly. Mother had a stinking cold, sounded awful and hadn't moved out of the house all day, which is very rare indeed for her but she as me had had no sleep last night – so worried about her too. I went straight to visit Father after work and he had been moved to a different ward. I walked on to the ward and I just sighed with despair when I saw the state he was in and he was very distressed because of this and I quickly complained staff. I complained calmly – I had to, if I had said what I wanted to say (or rather shout and scream), I would have been led out by security. After he had been cleaned up and dressed properly, he was immediately calm and happier and looked pleased to see someone he knew. He was emotional and sad and I felt the same. I sat and held his hand. Helped him get into a high position in bed and then helped him with supper, which he ate quite alot of really, so that was good. Spoke to a very nice doctor, but they didn't know what was wrong with him yet. Bloods and obs. all fine – repeat bloods again tomorrow. I was just leaving at 7pm, as I was beyond exhausation when a nurse told me he was moving wards again!!! Father sounded worried and wanted me to stay with him until he had moved wards. Half an hour went by and then a porter came and off we went to another ward. Such a shame that he had moved, as the ward he was in was nice and the other men around him were alert, supportive and chatty. His new ward and bay was full of men in a worst state than him. There would be no one talking to him in that bay. Wrote down loads of stuff for the staff that would help them and him re: his lack of sight, speech, food stuff etc etc. Re-positioned him onto his side with a staff nurse and then left just after 8pm. Plan: fish 'n' chips for my tea. Had to drive very carefully when I left. I couldn't even string a sentence together I was so tired. The fish 'n' chip shop was closed as I went past. No energy to find another. Got home, phones ringing. I didn't answer them. Stuck bread in toaster, fried eggs, threw beans in frying pan after and stood to eat my survival tea. Determined to keep my blog up, I sat and typed and now off to bed. Big complaint letters to write tomorrow to two different services. Good night. Scaup, Hen Harrier, Water Pipit at Cantley Beet Factory. Ring-necked Duck, Scaup at Chedgrave. Iceland Gull, Lapland Bunting at Weybourne. Little Gulls x 3 at Barton Broad. Ravens x 2 at Thompson Common. Shorelarks x 7, Black Redstart at Blakeney Point. Richard's Pipit at Breydon Water. Rough-legged Buzzard at Waveney Forest. Garganey x 2 at Hockwold Washes, Lakenheath RSPB. RBA Weekly Round-Up 18th to 24th March! Garganey x 2 at Beach Pool, Snow Buntings x 6, Iceland Gull at Weybourne. 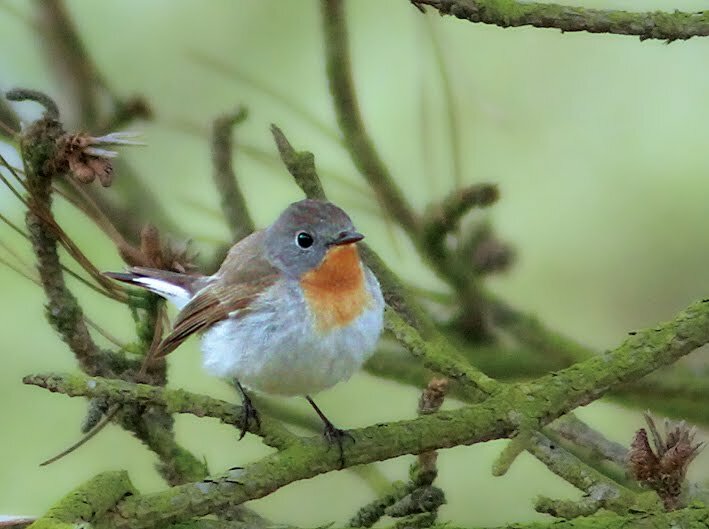 Black Redstart at Felbrigg Hall. Great White Egret, Spoonbill, Short-eared Owl at Welney WWT. Common Cranes x 2 at Martham. Long-tailed Duck at Titchwell RSPB. • SCARE TORTOISESHELL BUTTERFULY at Holme. Whooper Swans x 6, Bewick's Swans x 160 at Catfield. Great White Egret at Burnham Norton. So, the stress continues with no let up. Phone call from my Mother at around 7.15pm – she was frantic with worry, never heard her like that before. Father had been sitting, when his eyes rolled and lurched all over the place – Mother described it as though he looked like he wanted to attack her, then he went silent, pale and just motionless and other stuff that's not appropriate to talk about. Instructed her to phone 999 and I flew like the wind to Holme. As I drove along their road, I could see the ambulance and thought the worst and felt sick. In the house, he was still alive, but looked dreadful with grey face. He had been sick and was sick again with what looked like coffee ground vomiting. Mother hysterical – so much so that she was unable to go in the ambulance, so I helped her get herself together and we followed the ambulance about 20 minutes later. Here we go again for another 48 hours stint of no sleep. Parked up and joined Father in the same M7 cubicle in A&E at the Queen Elizabeth Hospital, as he was a few weeks back. He was sick again and we were told he had been sick in the ambulance on route, so four times in all. Mother and I sat there with him for hours. Nurses came and went and eventually a doctor came to assess. I was horrified when the A&E doctor pointed out that his metal clips were still in his hip and that they should have been take out after a maximum of 10 days maximum – any longer that that means risk of infection and the clips becoming embedded and painful to remove – now on day 35!!!!! I won't talk about this any further and what is happening and what I will be doing, as I am beyond angry and heads are going to roll big time. Father eventually got moved to the Medical Assessment Unit, where we said goodnight and left. Took Mother home and I got back to King's Lynn at 4.15am. Tried to sleep but didn't. Where I am destined to be..... as a Therapy Assistant on the Stroke Ward. It felt so good to be back amongst my fellow colleagues today. I got several welcoming hugs and it felt like I had returned to my family! Hilary's amusing humour made me chuckle and I realised how much I had missed them all. It felt rewarding to be back helping to rehabilitate patients and the day just felt normal! Lucky me indeed! Had to book an urgent GP appointment after work this evening. I needed to get some more Omeprazole Capsules, as I have been suffering extremely badly with Gastro-esophageal reflux disease over the last few weeks and have had no time to get it sorted out. I realised my continuous wheezy coughing and poor sleep, had nothing to do with the left overs of my recent chest infection, but is a result of this condition worsening. I had almost no sleep last night at all. All to do with being overweight, stressed and eating a load of crap over the last few weeks. Your body can only take so much abuse! I was prescribed with more tablets and told to take them for a month, wait two weeks and if symptoms returned, come back to GP. New me, new start as from today. Back to Weightwatchers on Wednesday, which I started a few weeks ago, before the recent shenanigans. It felt quite warm today when I went outside for lunch. 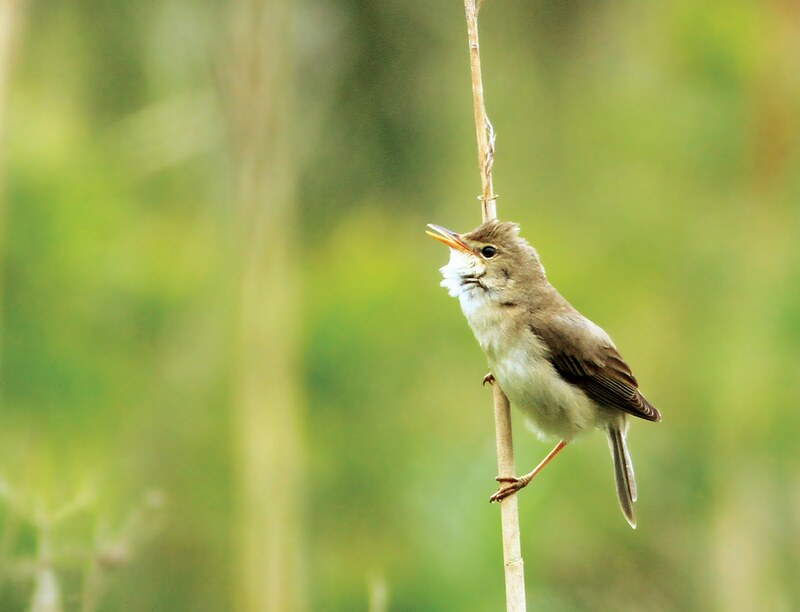 I have not heard my first Chiffchaff yet – the woods adjacent to where I park are usually where I hear my first one – hopefully soon! WHITE-TAILED EAGLE 2w at Horsey Mere, West Somerton, Heigham Holmes & Hickling Broad NWT. Common Cranes x 12 at Horsey. Great White Egret at Morston. 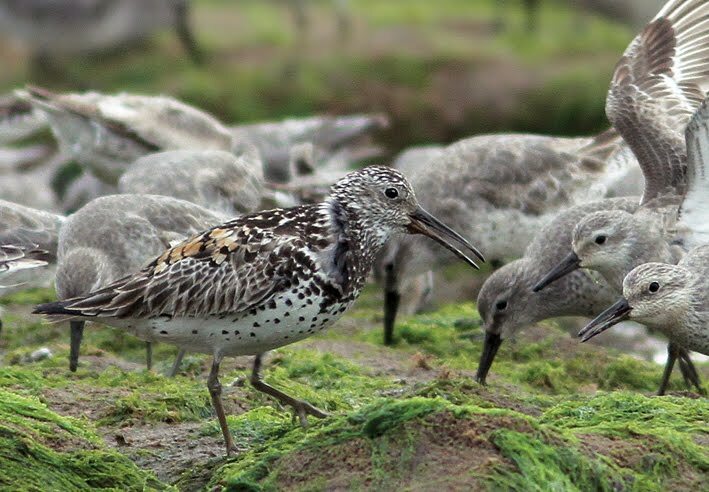 Richard's Pipit x 2, Rough-legged Buzzards x 2, Spotted Redshank at Breydon Water. 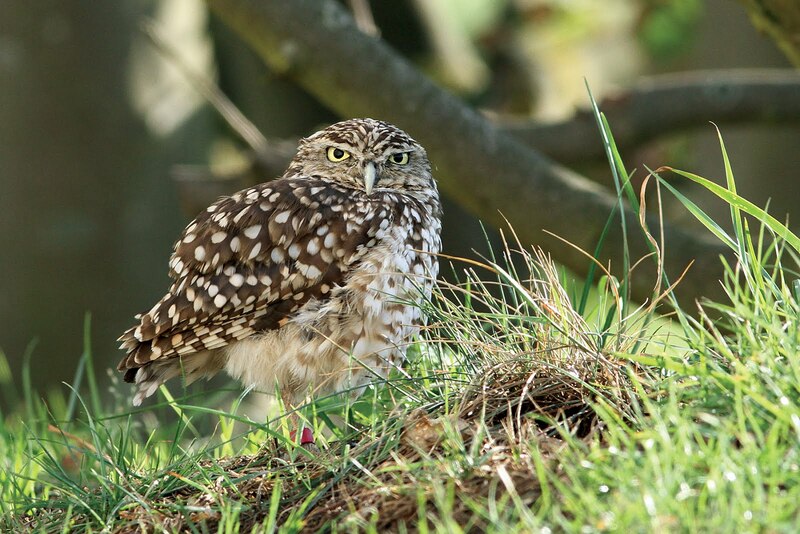 Black Redstart, Short-eared Owls x 3 at Claxton. Garganey at Beach Pool, Snow Buntings x 6 at Weybourne. Short-eared Owl at North Dunes, Winterton. Water Pipit, Long-tailed Duck, Red-crested Pochards x 10 at Titchwell RSPB. Mealy Redpoll trapped & ringed at Nunnery Lakes, Thetford. The weather here in Norfolk was glorious while I was at work all day! Blue skies and fluffy white clouds! Worked today on the Stroke Ward and finished at 4.30pm. Whizzed home, changed, had cheese on toast and drove to Hunstanton. I parked up along the clifftop and stood by the bowling green to watch the sunset. 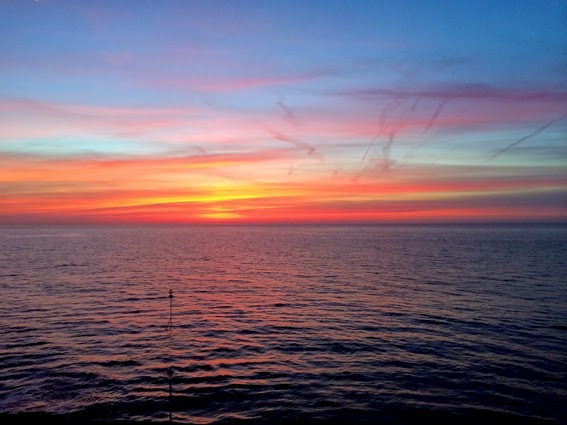 Beautiful pink skies merged into rippling, dark blue waves, as the light faded to dusk. It was a very high tide and the waves were lapping the boulders at the base of the cliffs. 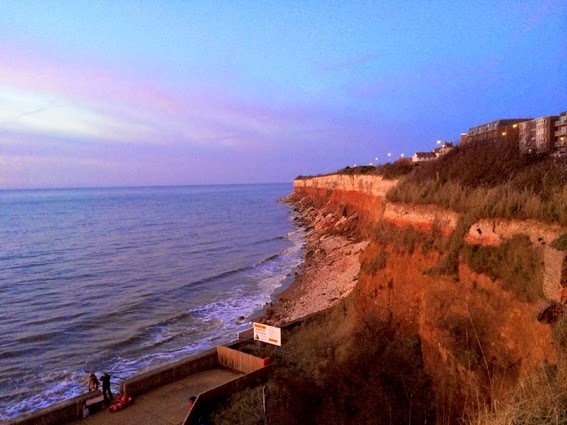 Sunset at Hunstanton Cliffs – all taken with iphone 5s. Went to Holme to deliver bits and bobs to parent's. Inspected Father's new wheelchair that arrived last week – looks like a good one, but even though Father accepted the chair on delivery, he declared this evening that he won't ever be going in it – we shall see!!! Tomorrow I start back in my old job as Therapy Assistant, can't wait – in some ways, changing my job did me good – it made me realise how much I enjoyed my old job!!! Roll on next weekend when the clocks go forward – lighter evenings at last, can't wait! Iceland Gull, Garganey x 2 (Beach Pool), Lapland Buntings x 4, Snow Buntings x 6 at Weybourne. Great White Egret, Whinchat at Burnham Norton. Great White Egret at Setchey. MEGA! BOOTED EAGLE pale morph reported 3 miles south of Swaffham. WHITE-TAILED EAGLE at Horsey Mill. WHITE-TAILED EAGLE, Great Grey Shrike at Hickling Broad NWT. Black Redstart, Short-eared Owls x 3 at Claxton Marshes. MEGA! BOOTED EAGLE pale morph reported 3 miles south of Swaffham, Norfolk. MEGA! HARLEQUIN DUCK still at Brora, Scotland. I didn't sleep very well and it was difficult to get up, but had to in the end. Skoda MOT at 8.30am at the Skoda garage – knew it would pass as its still in the warranty period....just! Cold and windy first thing this morning and grey skies for most of the day. Had to pass the time for a couple of hours and went to look in the Fisher Fleet – a couple of blackbirds, a hedgesparrow and a robin was all I could find. The tide was extremely high by the quayside, as I walked towards the town. Tedious jobs that had to be completed in the afternoon. Lucy and Vivien came to visit at around 7pm after doing Mother's main food shop for the week earlier on. Vivien was amazed at how much had been cleared out of my house! Great Northern Diver at Hemsby. Rough-legged Buzzard, Common Cranes x 3 at Burgh Castle. Garganey x 2 at Beach Pool, Weybourne. Great White Egret at Thornham. Hen Harrier at Burnham Overy Staithe. Little Gull, Manx Shearwaters x 2 at Titchwell RSPB. Great White Egret, Common Scoter at Narborough Fisheries. Common Scoters x 2 at Pentney Gravel Pits. MEGA! FORSTER'S TERN at Mutton Island, County Galway, Ireland. Proposals to build poultry units for up to 360,000 birds in Docking!!! 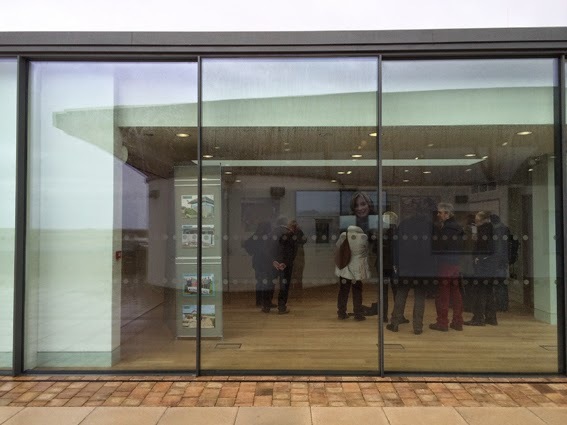 "Residents in a West Norfolk village say they have been kept in the dark over proposals" So let's raise awareness of this to everyone in North West Norfolk and beyond. I understand this is right next to Peddar's Way and is between Sedgeford and Docking. Can you imagine the smell, increase in traffic on these narrow rural roads, eyesore on the landscape and impact of disturbance to wildlife and birds! Last Day In My New Job! Even with all the stress of the last few weeks going on, I soon realised that being a Discharge Planning Assistant was not for me. I didn't need to wait a few weeks or a few months, really I didn't. The girls I worked with are all really nice and work extremely hard.... too hard some of them, long story. My head has been a mess – I missed my old job as a Therapy Assistant and it wasn't until I started my new job, that I realised how much I had actually enjoyed my previous job. It's been very, very stressful indeed. After a meeting with heads of previous team, I was very, very lucky to be able to now return to my old job, which I start back again this coming Monday – can't wait! Started new job on Monday 16th February as Discharge Planning Assistant. Father broke his hip on 16th February and I spent most of the night in A&E with parent's. Started day two of new job on 1.5 hours sleep. Daily visits to my father in my hospital, washing his clothes, picking Mother up etc. Monday 23rd February – phonecall at 3.30pm to say my neighbour's house had been on fire most of day and this resulted in my entire house and contents being smoke damaged. Slept at Sarah's house on the first night and then next two weeks in a hotel. Developed an Upper Respiratory Chest Infection and high temperature and unable to leave hotel for a few days. Rainbow cleaning team came out to fumigate, sort my house out, take all laundry, clothes etc away to be washed etc. 2nd March - 'Environmental' Visit by OT to Mother's house and piano moved out and other stuff in preparation for father returning home. Stressful phonecalls from Mother, Social Workers, OT etc etc re: Father's discharge. Thursday 5th March – Father returns home – stressful day. Sunday 8th March – checked out of hotel and returned home. Monday 9th – gave my notice in at work. Thursday 12th March – phonecall at 2.30am from Mother – Father fell out of bed. Drove to Holme to assist and then shattered for rest of the day at work. Saturday 14th March – Rainbow return a small amount of my laundry. Friday 20th March – last day in my job (allowed to leave two week's earlier than expected). Still don't have any cameras, as all being checked and serviced from smoke damage. Saturday 21st March – MOT for Skoda and then Electrician coming round to wire up a new circular strip light in kitchen which blew the other day. Sunday 22nd March – working all day. Monday 23rd March – back in my old job as Therapy Assistant on the Stroke Unit! I hope very much that April is an easier month! Roll on the Easter weekend! Garganey x 2, Lapland Buntings x 4, Twite x 2 at Weybourne. Snow Buntings x 2 at Burnham Overy Staithe. WHITE-TAILED EAGLE 2w, Short-eared Owl, Bewick's Swans x 45, Caspian Gull at Breydon Water. WHITE-TAILED EAGLE 2w at Great Yarmouth. Sandwich Tern at Cley NWT. Great White Egret flew over boating lake, Wells . White Stork esc., Rough-legged Buzzard at Halvergate Marshes. Eurasian White-fronted Geese x 50 at Holkham. WHITE-TAILED EAGLE 2w at Hickling Broad NWT. Snow Buntings x 7 at Salthouse. The Solar Eclipse and Spring! Complete cloud here in King's Lynn. I was working with Melanie this morning and we were unable to leave the ward. We did peep out of a window at 9.32am and could only see dark cloudy skies. We carried on working because we had to. If I had a choice, I would have left the building and gone outside to wait and watch. We heard a bit later that people had seen the Solar Eclipse just after that time and up to 9.50am. Some staff had seen it walking along corridors and some had gone outside to look, lucky them! Felt very fed-up, that I had not been able to witness such a rare event. Also made it worse to see spectacular photographs taken, by lots of people I know on facebook. I would have only been able to take pictures on the iphone anyway, as still waiting for my cameras to be checked and serviced from the smoke damage saga. Oh well, got to wait until 2026 for the next partial eclipse in the UK, when I will be 61 years old! The day developed into blinding sunshine at around 10.30am – so blinding, you could hardly look out of the window as I walked to my teabreak. It remained sunny with blue skies throughout the day. Anyway, here are links to the event locally and worldwide! Short-eared Owl at Surlingham Marshes. WHITE-TAILED EAGLE 2w (reported yesterday for second day) viewable from Ranworth Church. Hen Harrier, Black Redstart at Ranworth. Black Redstart at Wells Woods. Rough-legged Buzzard, Spoonbills x 2 at Burnham Overy Staithe. Lapland Buntings x 5 at Weybourne. WHITE-TAILED EAGLE 2w again, viewed from Ranworth Church then flew east. Jack Snipe at Titchwell RSPB. Garganey at Beach Pool, Weybourne. Hawfinches x 3 at Lyford Aboretum. How To Watch & Photograph The Solar Eclipse Safely! Hen Harriers x 3, Bittern, Water Pipit, Firecrest, Spotted Redshank at Titchwell RSPB. Iceland Gull, Lapland Buntings x 5, Snow Buntings x 3 at Weybourne. EAGLE OWL esc in garden at Heacham. WHITE-TAILED EAGLE (unconfirmed report) SSE of Loddon at Stockton. Shorelarks x 8 at Far Point, Blakeney Point. Twite x 25 at Thornham Harbour. Iceland Gull, Garganey at Kelling. Spectacular Lost Hummingbird Rediscovered After 69 Years! RBA Weekly Round-Up 11th to 17th March! Half The World's Wildlife Has Been Wiped Out In The Last Forty Years! Solar Eclipse, Supermoon and Spring Equinox: Friday Will See Three Rare Celestial Events! Iceland Gull, Lapland Buntings x 8, Snow Buntings x 12 at Weybourne. Iceland Gull at Kelling Heath. Bewick's Swan, Short-eared Owl at Horsey. 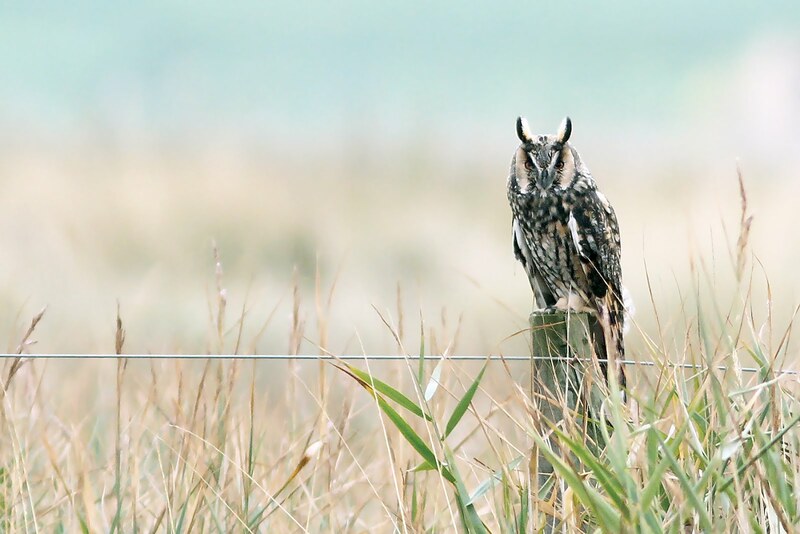 Short-eared Owls x 2 at Claxton Marshes. Water Pipit at Cantley Marshes RSPB. WHITE-TAILED EAGLE 2w east over Cley at 7.30am, still at 7.50am, then seen at Gramborough Hill, Salthouse, Sheringham and then flew inland at Cromer at 9.10am and lost to view. WHITE-TAILED EAGLE 2w at Hickling at 11.07am. Jack Snipe, Firecrest at Titchwell RSPB. Rough-legged Buzzard, Short-eared Owl at Halvergate Marshes. Common Cranes x 2 at Horsey Mill. Richard's Pipit, Rough-legged Buzzard, Short-eared Owl at Breydon Water. Jack Snipe at Stiffkey Fen. Lapland Bunting flew west over Holme NOA. This weekend seems to have disappeared like magic. Yesterday, I had to stay in for the Rainbow Cleaning Team to deliver some of my clothes back and have another inspection of the smoke situation in my house. I had to spend the rest of the day, catching up with important jobs that had to be done. Booked MOT for next week, paid some bills etc. Today I spent with my family for Mother's Day. Bought Mother two bunches of mixed flowers, a card and some food items. It was the first time the whole family has been together since Father has been home which was nice, although chaotic! Father enjoyed his fish 'n' chips, although he only managed half. He is so fed-up and emotional, which is obvious really – from walking badly with a stick and poor vision, he is now restricted to sitting in an armchair, commode or bed – what kind of life is that for him – so sad. The wheelchair clinic is coming out fairly soon to assess for a chair, which means after ramps are put in place (takes ages to get done) at least we can get him outside in the sunshine when the weather warms up. I strictly told him not to refuse to have a wheelchair when offered, as this is the only way he will get outside – think he understood, just hope he remembers what I have said when they come out! I tried to get Mother to go out for a walk, so she could have a break, but she wouldn't go – she was too tired to make the effort. I really don't know how she is managing, but she seems to be. Obviously very early days yet and she will need to have some breaks, otherwise she will lose the plot. 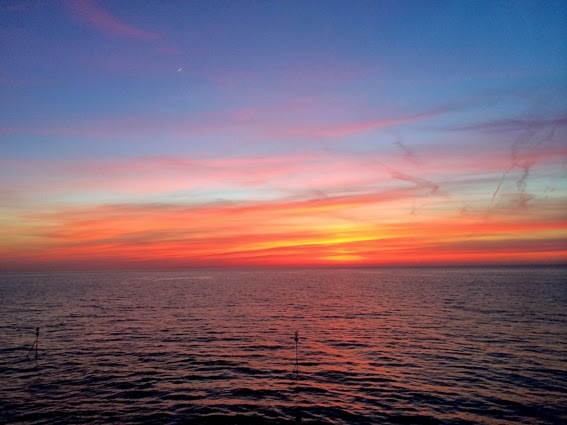 Lots of things going on in March – hairdressers this week, free firecheck from local firemen!, Supermoon, Eclipse of the Sun, MOT, parent's wedding anniversary, change my crappy iphone 5s (with speaker problems), attempt to put some pictures on my blog!!! Pager bleeped up about a White-tailed Eagle that had arrived in Norfolk and when Eddie rang me to say he had seen it at Warham, I was off!!! See previous post. WHITE-TAILED EAGLE 2w flew north over Great Cressingham at 12.25pm then seen SE of Swaffham (seen by Ian Brittain and Richard Preston), just west of North Pickenham at 12.31pm, then south of Swaffham and flew east at 12.45pm. Eddie M. doesn't have a pager, so I phoned to let him know that it could be hitting the Norfolk coast at some point this afternoon. Can you believe some people's luck!!! The last sighting of the day was by Eddie Myers (and one other birder) who excitedly rang to tell me he had watched the eagle fly over Warham Greens towards Wells at 4.18pm! I left Holme in hope of jamming in on the Eagle and decided that parking up the slope, high up, just before the boat house at Thornham Harbour would be as good as place as any. Mark & Tracey Bradbury had the same idea and turned up shortly after me. We stood here in the cold east wind for a good while. I fully expected to see that Eagle sailing over my head and posing, due to the fact that I have no cameras at the moment! But this wasn't to be! Sparrowhawk west, 2 Little Egrets east and a couple of Marsh Harriers distantly over Titchwell, but no sign of a great big eagle!!! 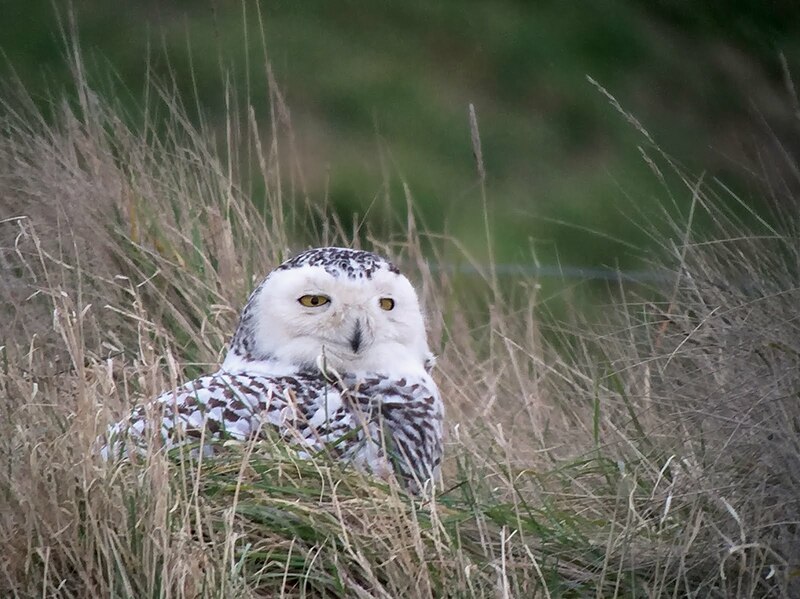 We reckoned its roosted at Holkham – no doubt will be seen tomorrow whilst I'm at work. 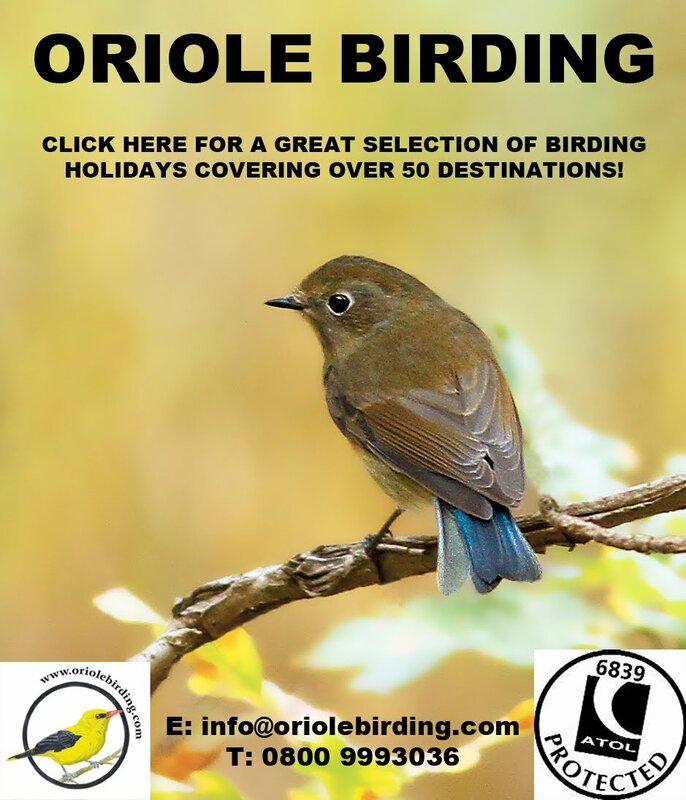 Good job I have one on my Norfolk list already! I relocated to Choosley Barns, just in case the eagle had decided to cruise the ridge. Met two birders there who knew nothing about the eagle sightings in Norfolk (no pager) and were on holiday and staying in Hunstanton. 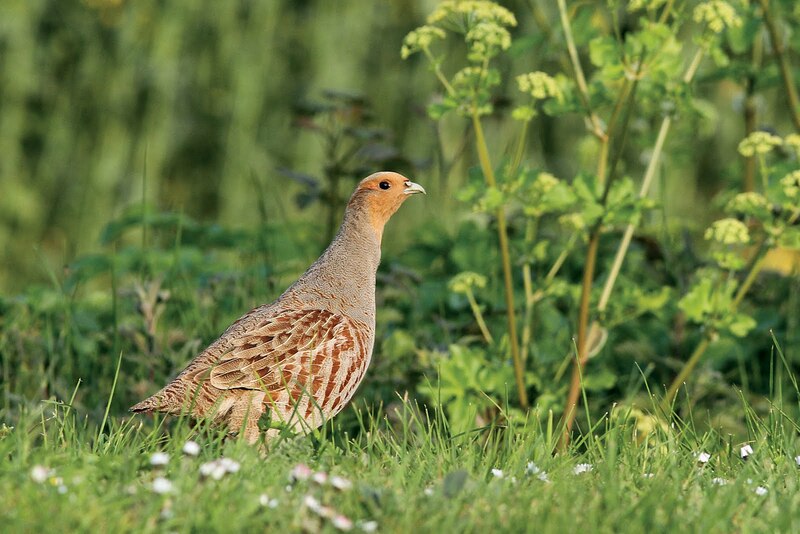 They soon realised I was Penny from the blog and asked me some tips on where to see different birds around Norfolk – nice to meet you both and hope you get to see the Eagle tomorrow. Iceland Gull, Snow Buntings x 2, Lapland Buntings x 9 at Weybourne. WHITE-TAILED EAGLE 2w flew north over Great Cressingham at 12.25pm. WHITE-TAILED EAGLE 2w SE of Swaffham, just west of North Pickenham at 12.31pm. 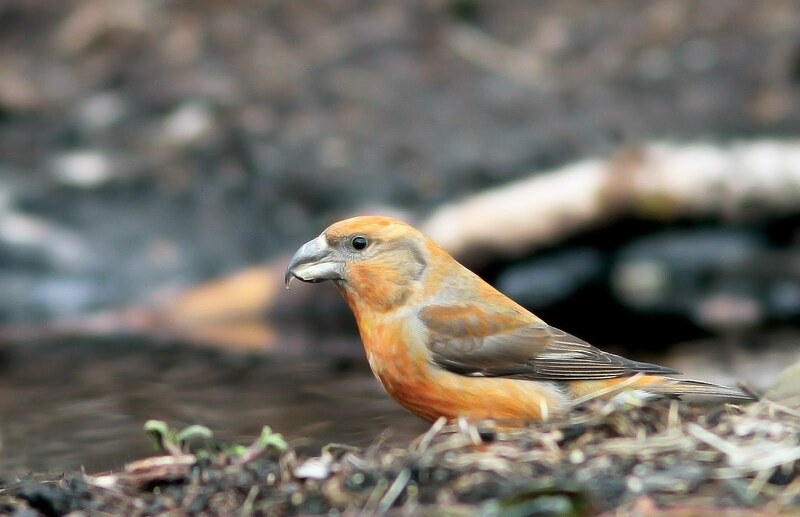 Hawfinches x 4, Firecrest at Lynford Aboretum. WHITE-TAILED EAGLE 2w south of Swaffham, then flew east at 12.45pm. 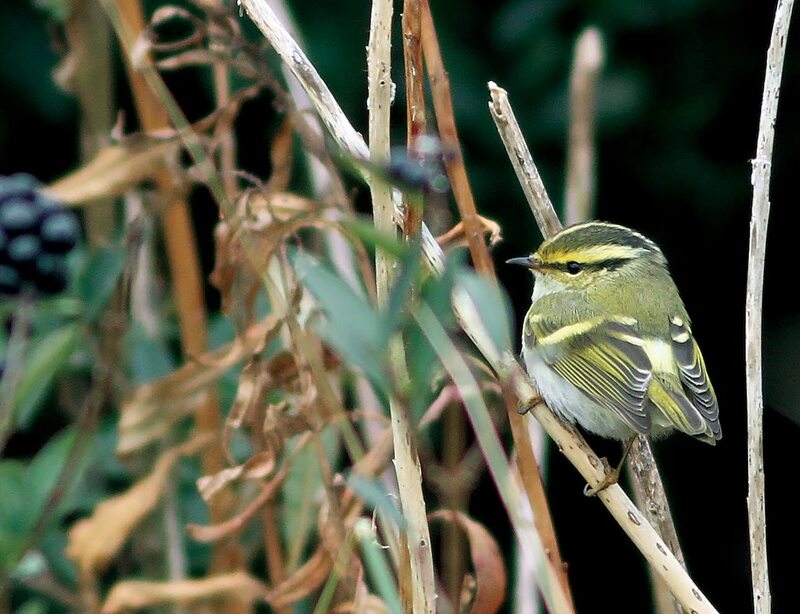 Firecrests x 2 at Sheringham Park. WHITE-TAILED EAGLE 2w flew over Warham Greens towards Wells at 4.18pm. Smew x 2 at Bittering. Twite x 20 at Thornham Harbour. 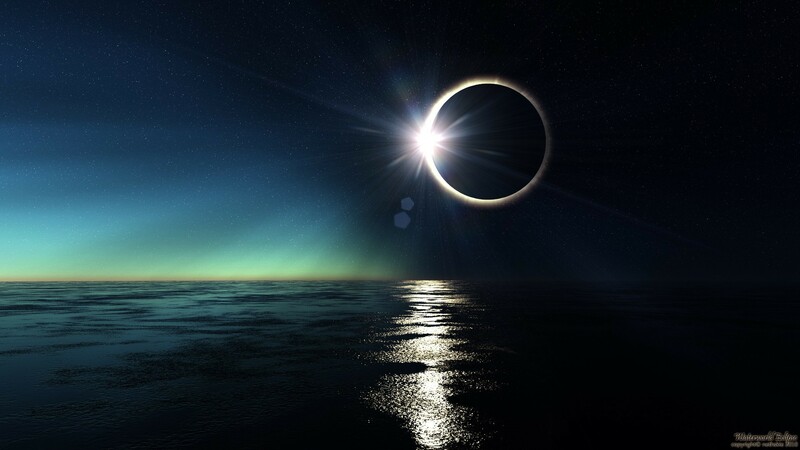 Total Solar Eclipse – Friday 20th March 2015! I remember the last one – 11th August 1999. I was living in Colchester. 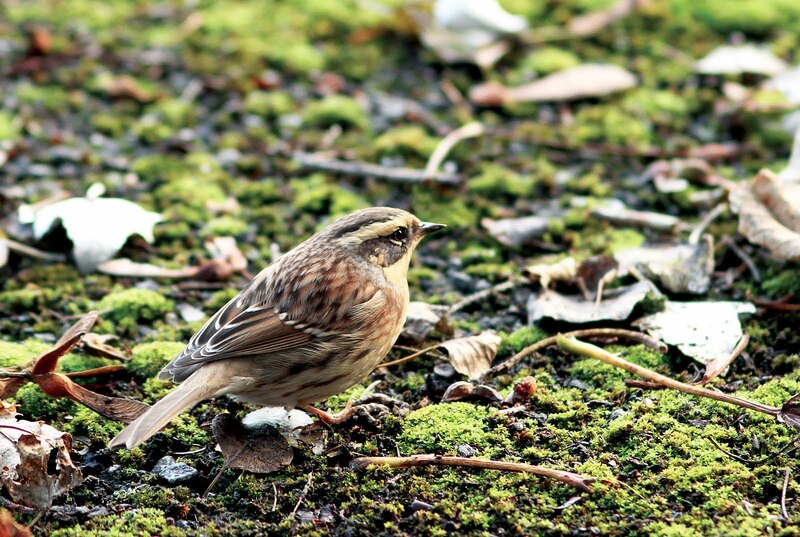 I clearly remember all the birds going quiet – eerily quiet and still, like it was the middle of the night. The shadow of darkness that fell was really quite scary! 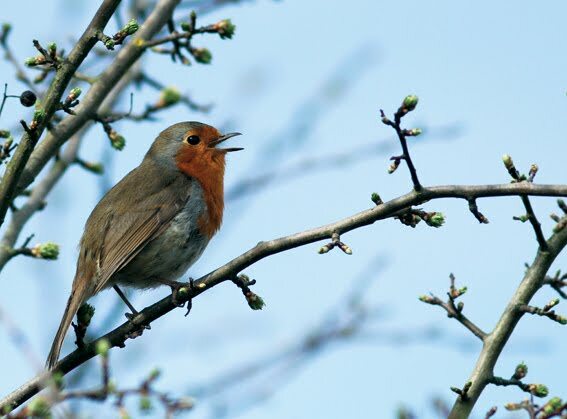 As the darkness lifted and the light appeared again, the birds started to sing again. My Mother recalls bees that were buzzing in garden, they just stopped, as though they had died and started up again when the light appeared! It's a Total Solar Eclipse in Svalbard (Norway) and the Faroe Islands, and a Partial Solar Eclipse in Europe, northern and eastern Asia and northern and western Africa. Friday’s partial eclipse of the Sun begins at 8.30am and reaches its maximum point about an hour later, varying across Britain. The next Total Solar Eclipse, is not visible in the UK again until 2090. I would be 125 years old in 2090 – I don't think I will make it somehow! What's really sad is the fact I won't have any of my camera gear back from being checked and serviced before then! Mind you, I'm at work anyway, so suppose it doesn't matter. Wish I had booked the time off now. Wheatear, Iceland Gull, Mediterranean Gull, Snow Buntings x 20, Lapland Buntings x 9 at Weybourne. Rough-legged Buzzard, Wheatear, Velvet Scoter at Burnham Overy Staithe. Lesser Spotted Woodpecker possible 1.5 miles SSE of Barnham Broom. 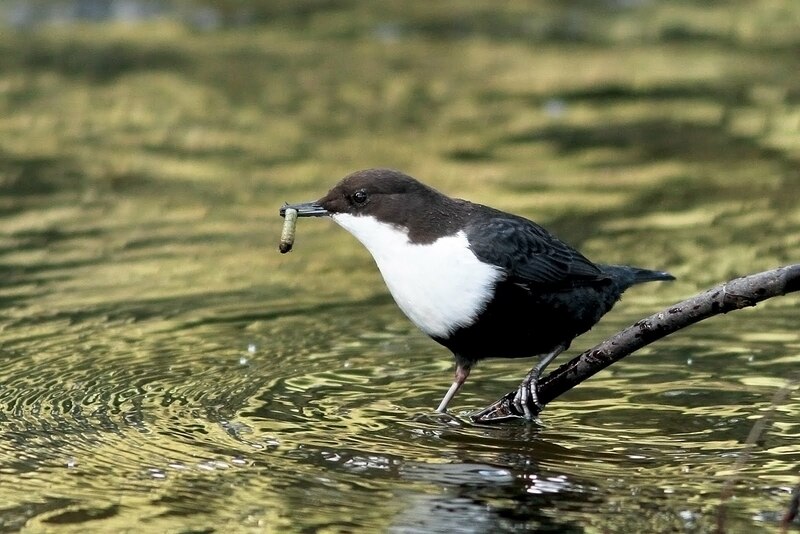 BLACK-BELLIED DIPPER probable reported yesterday at mill/marina, Loddon. Ring-necked Parakeet in garden near church at Trunch. Little Gull, Twite x 8, Snow Buntings x 2 at Happisburgh. Shorelarks x 8, Black Redstart, Hen Harrier at Blakeney Point. Father managed to keep in bed last night, thank goodness, but poor Mother had lots of extra work to do this morning – I won't go in to details. I spent an hour an a half phoning District Nurses and other teams when I got home from work – all of which was a complete waste of time – on of them was going to ring me back, but never did. One of the messages I left yesterday must have got through as a District Nurse came out today and asked Father if he would like a rail at the side of his bed to which he answered 'No' – this had made me so angry. Of course he is going to say No..... he says No to everything. He has not got full capacity and should be cared for in his best interests. I requested them to put a bed rail up, not to ask Father if he wanted one!!! So cross. If he falls out of bed again and breaks anything, I will be on the warpath big time. Father also has someone coming out to assess for a wheelchair – when he heard this, he started ranting and raving..... 'not having a wheelchair, not now, not ever....' I pointed out that if he wanted to feel the sunshine when the weather warmed up, he needed to agree to the wheelchair, as this was the only way of getting out of the house – I could see him thinking about this and seemed to kind of accept it. But I bet he forgets this, when the wheelchair technician comes out! Cooked my tea, washed up and drove over to Holme to get the big shopping list. Did shopping in Sainsbury's, Hunstanton and returned to Holme. I wanted to relieve Mother and help Father get into his pyjamas and get him into bed, but he refused point blank and told me to go home. Such a shame as it would be reletively easy for me to do that, rather than Mother struggle with it all. I declared as I was leaving that he wouldn't have the choice on Sunday as Mother was going to have some time off and I would be the carer, so he would have to put up with me! 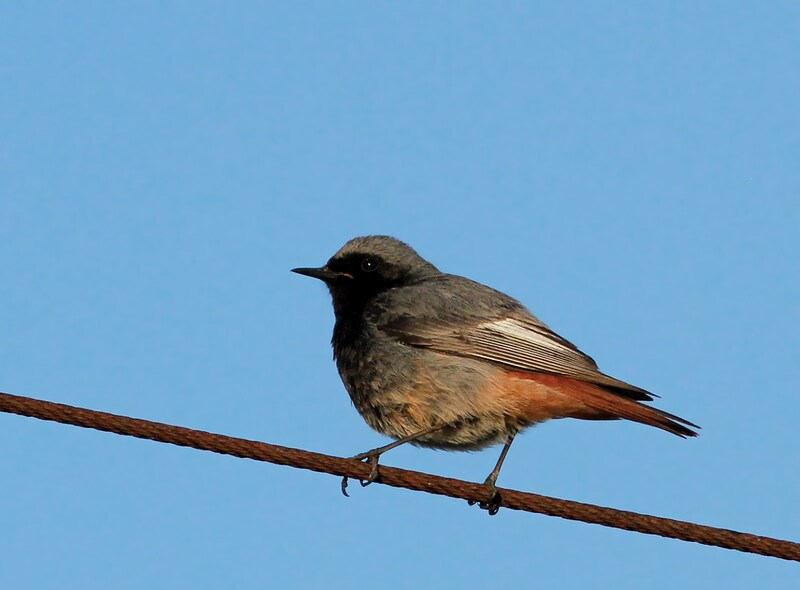 Mother predicted (last night) Black Redstarts arriving today and arrive they did, at Aylmerton and Salthouse! 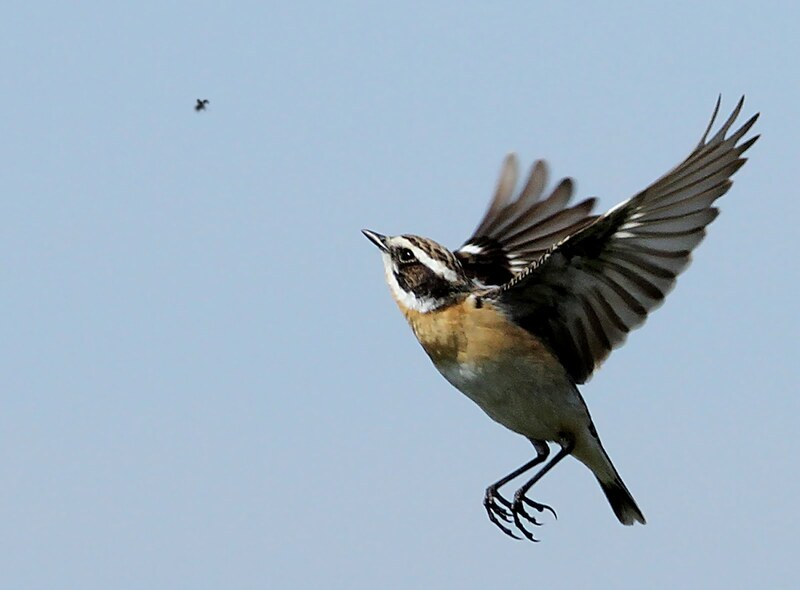 Also a scattering of Wheatears – the beginning of Spring! 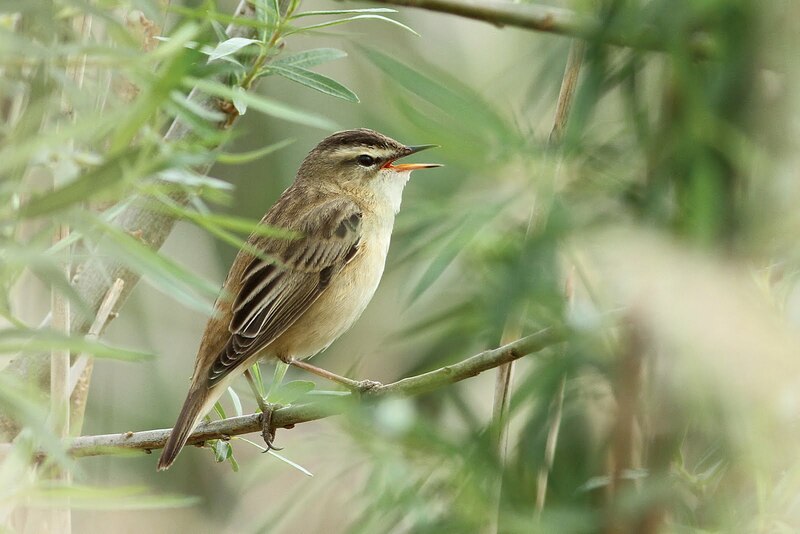 Hope I get my cameras back in time, before the serious migration kicks off! Rainbow Cleaning Team are delivering back my emergency clothes tomorrow morning and cleaning out another smokey cupboard, so no early morning birding tomorrow. Cold east winds and cloud over the weekend, not going to be warm at all! 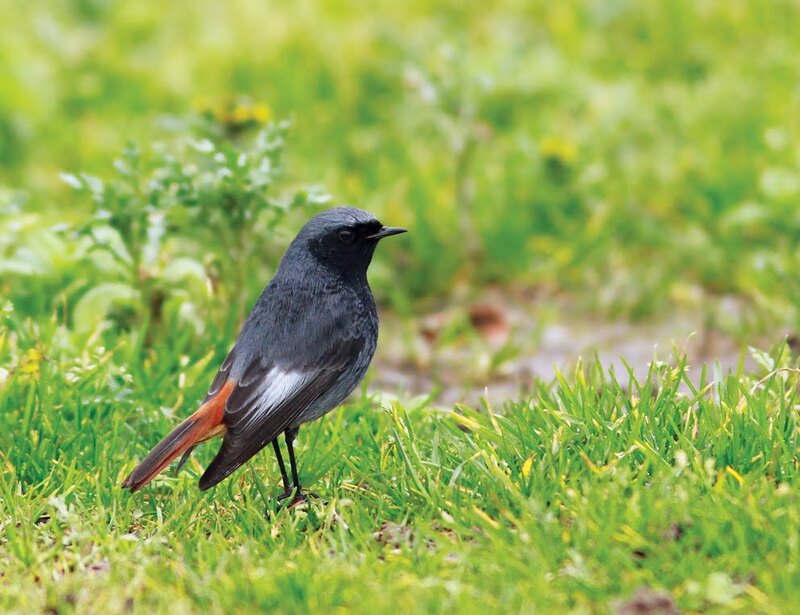 Black Redstarts x 2 at Aylmerton. Waxwings x 4 at Norwich. Richard's Pipit, Rough-legged Buzzard, White Wagtail, Jack Snipe at Breydon Water. Hawfinches x 3, Firecrest at Lynford Aboretum. SCARCE TORTOISHELL BUTTERFLY reported still at Holt Country Park. Wheatears x 2, Iceland Gulls x 2, Snow Buntings x 9, Lapland Buntings x 6 at Weybourne. Wheatears x 2, Shorelarks x 3 at Blakeney Point. Twite x 2 at Salthouse. Black Redstart, Spoonbills x 2 at Little Eye, Salthouse. Rough-legged Buzzard, White Stork esc at Halvergate Marshes. Rough-legged Buzzards x 2, Wheatear at Burnham Overy Staithe. Slavonian Grebes x 2 offshore at Holme NOA. Great White Egret at Earlham Marshes. King’s Lynn Hospital In Top-10 For Strokes! Lynn’s Queen Elizabeth Hospital has been named as the best in the region for effective diagnosis of stroke and speed of admission to its unit. The accolade came in the 2014 National Stroke Audit, which placed the QEH seventh best in the country out of 183 hospital trusts. Wheatear, Snow Bunting at Hunstanton Cliffs. 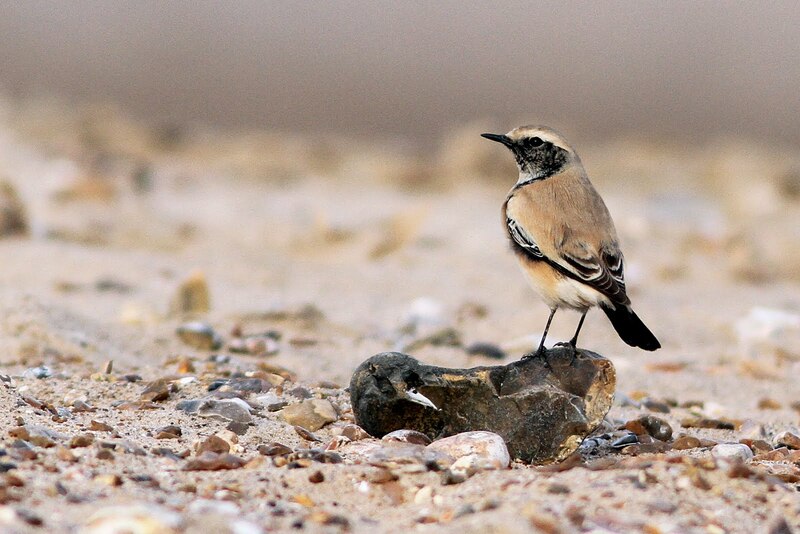 Wheatear at Old Hunstanton Golf Course. Wheatear, Lapland Buntings x 3, Snow Buntings x 5, Iceland Gull at Weybourne. Rough-legged Buzzard, Spotted Redshank at Titchwell RSPB. SCARCE TORTOISHELL BUTTERFLY probable at Holt Country Park. Rough-legged Buzzard, Hen Harrier at Halvergate Marshes. Norfolk Swift Response is a brilliant free non-emergency, 24 hour service provided by Norfolk County Council. This service provides help, support and reassurance if you have an urgent, unplanned need at home but don’t need the emergency services. So for example, if you have a fall but are not seriously injured, the team can bring special lifting equipment to help make moving as safe as possible for you. After tossing and turning on my camp bed for half the night, I was then disturbed by a telephone call at 2.30am from my frantic and distressed Mother, to tell me that Father had fallen out of bed and she couldn't get him up! She had called Swift Response, but was worrying as they had still not arrived. Got dressed, bundled hair up and swiftly drove to Holme – in fact I got there before Swift Response! Mother had gone to the loo in the night and heard movement downstairs (thank goodness she did) and found Father on the floor next to the bed – she had attempted to get him to crawl to the armchair and he managed to kneel next to the chair, but was unable to stand up. When I arrived he was laying flat on the floor on his back. We don't think he had broken anything. I helped to move him further to his right, to have enough space to turn and got him into the kneeling position again. With all my tricks of the trade I couldn't get him up, he hadn't got enough strength in his knees or legs to stand up and said it was painful and he fell faint. Quickly got him back to the floor with hot water bottle and blanket and waited for Swift Response to arrive. The stupid roadworks on the A149 had hindered their arrival and mis-information about where he lived (they were told Hunstanton), made them later than they would have been. Two very nice ladies turned up and used a fantastic piece of equipment to get him up – a square blow up chair type thing, placed underneath bottom and then blown up to raise Father to a high seated, almost standing position – then we sturned him back to bed. Father had been frightened by his experience and said he 'wasn't sleeping in that bed tonight'. He urgently needs a bed rail of some kind, don't know why this wasn't done on discharge. One of the ladies suddenly looked quizzical and said 'are you Penny'.... 'yes' I replied..... 'Ahhhhh, I read your blog' – I then explained that this was the wrecked, just out of bed version of the picture on my blog!!! I think she was amused at meeting me in such circumstances. I drove home and got back into bed at 4.30am. Wrecked all day at work. Fell asleep the entire evening. Was supposed to do shopping for Mother this evening, but she will have to survive until tomorrow night now. Mother had refused to have a hospital bed for Father as this would have mean't emptying the entire living room in order for the bed to be errected – after it has been put together, everything can then be returned to the room, but this would have mean't huge upheaval, with heavy bookcases and stuff in the room. Unbeknown to us, I found out today that a bed rail CAN be added to an existing bed and can be assessed for and ordered by a District Nurse. So why was this not done for his discharge or soon after anyway?! Trying to ring people to get this sorted asap. Mother has blocked him in with commode and other stuff this evening, in hope that he doesn't fall out. If he falls out and breaks any bones or worse, I will be on the war path big time! Iceland Gull, Lapland Buntings x 6 at Weybourne. Garganey x 5 at Titchwell RSPB. Little Ringed Plover at Buckenham Marshes RSPB. Rough-legged Buzzard, Hen Harrier, Short-eared Owls x 3, Common Cranes x 2 at Haddiscoe Island. Hen Harrier at Holme Dunes NWT. Snow Buntings x 30, Water Pipit at Cley NWT. Common Cranes x 2 at Strumpshaw Fen RSPB. RBA Weekly Round-up 4th to 10th March! Its very rare that I don't sleep. Normally I fall asleep very quickly and rarely wake during the night. Currently I am tossing and turning all night and struggling to get through the day. Hope I have better luck tonight. Good Night! Rough-legged Buzzard, Short-eared Owls x 4 at Halvergate Marshes. Richard's Pipits x 2, Rough-legged Buzzard, Hen Harrier, Short-eared Owl at Breydon Water. Tundra Bean Goose at Cley NWT. Iceland Gull, Lapland Buntings x 4, Snow Buntings x 2 at Weybourne. Short-eared Owl at Ten Mile Bank. Great White Egret flew over UEA, Norwich. Ring Ouzel at Strumpshaw Fen RSPB. Hawfinches x 15 at Lynford Aboretum. Common Cranes x 6 at Welney WWT. 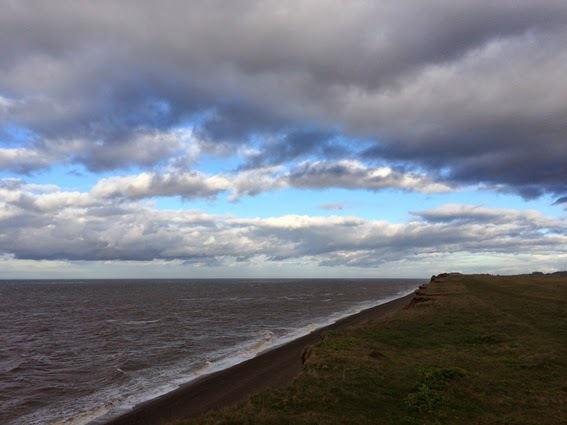 Local Kite Surfer Dies At Hunstanton On Saturday! I didn't know Sean personally, but several people I know did. I never realised what a dangerous sport kite surfing could be – how very sad. Condolences to his family, friends and to S.H. The Lynx Effect – Wild Cats Could Be Released into Thetford Forest! I left my Premier Inn Hotel of two weeks and returned home with the rest of my belongings. My house still smelt of the revolting fumigating smell, which is as equally as repulsive as the smoke smell. After putting everything away as best I could, I had a catnap for half an hour. I then did something crazy. 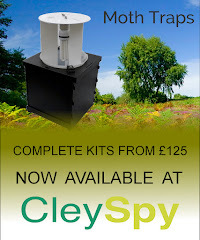 I wanted to get my scopes and bins checked out at CleySpy, so drove all the way to Cley – now this is normally a journey that means nothing to me, but because of my state of mind currently, I found this journey extremely difficult and tiring. On arrival I had to shut my eyes for a few minutes before getting out of the car. The weather looked dire, spitting with rain and dark clouds. I walked into the shop to get my gear checked. My telescope case smelt of the fumigating stuff and Andrew described it as a 'kind of toilet smell' – a perfect description! He sprayed some Febreze cleaner onto the case, wrapped it in a plastic bag and told me to rinse it out the following morning and it would smell lovely. It did too!!! I had heard this fantastic tip from someone else recently. Went to the Cley Deli and bought some vege things and ginger & pear cake and then parked up at Coastguards. It was now lashing down with rain and was set in for the rest of the day. Very sadly I didn't even get out of the car. I could see Brent Geese and Golden Plover through the steamy car window and that was it. 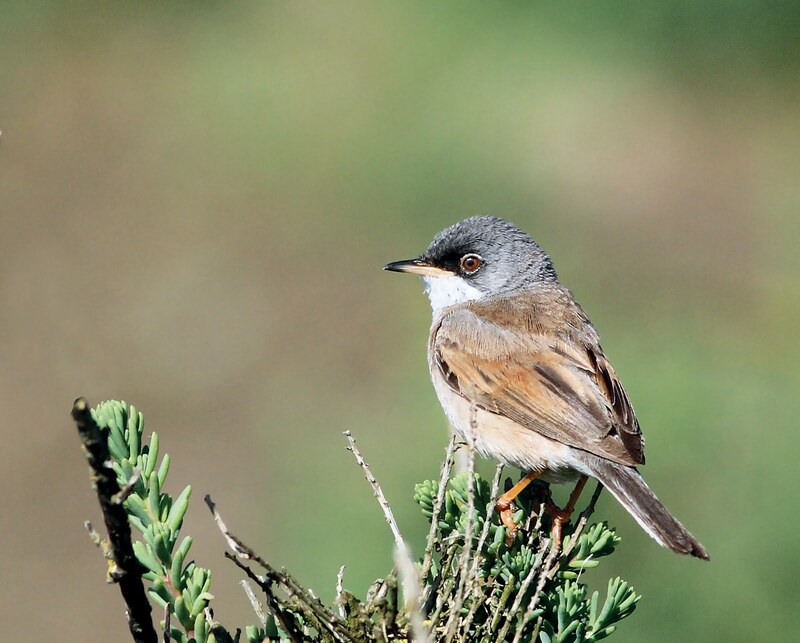 Re-located to Beach Road, Salthouse where the rain had decreased to light spitting. A Barn Owl flew past me alongside the fenceline. I felt so low in mood, I couldn't bring myself to walk to Gramborough Hill, but I did scan the fields in hope of finding a Wheatear, but no luck. Got back in the car and drove home. Slept badly on my camp bed and woke up cold on Monday morning – white frost covered the car. Back at work I found it extremely difficult to get through the day. Rainbow Cleaning team phoned me to arrange my first lot of emergency clothes to be returned, but now I am back at work, they can't deliver them late in the day, so they will deliver them on Saturday now. Went food shopping after work which cost a fortune as I have not been for over two weeks. Got home and struggled to cook dinner, but managed and had my first proper dinner in ages. Discussions with Vivien about how we are going to share the shopping trips between us, being as Mother can't leave the house and decided whether she likes it or not that we are going to do on-line shopping for her sometimes. Norfolk First Support Care Agency have decided to stop coming out as from late today as Mother is 'managing well' – this is good in some ways, but bad in others. She won't be able to look after Father as he is now, day after day after day – way too much for her. I will have to relieve her at weekends every now and again, otherwise she will lose her mind. Snow Buntings x 8, Little Gull at Happisburgh. Iceland Gulls x 2 at Weybourne. 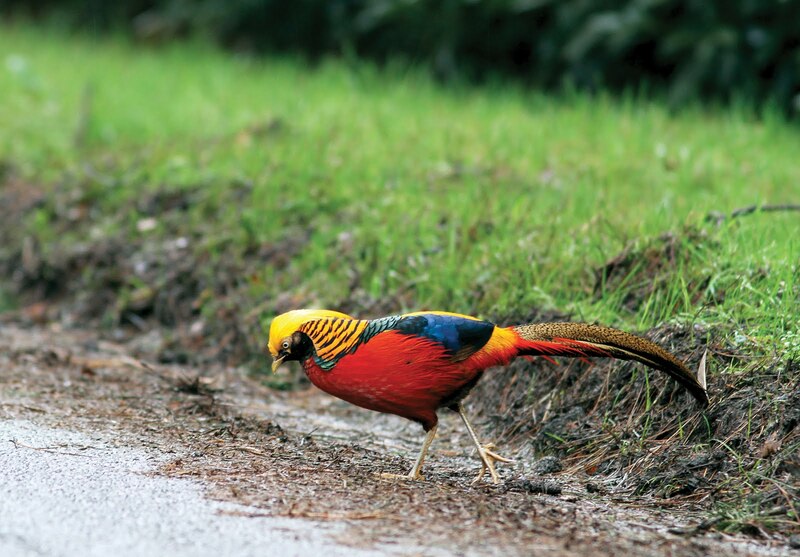 Golden Pheasant at Thomson Common. Hen Harriers x 2, Short-eared Owl yesterday at Stubb Mill Roost, Hickling Broad NWT. Red-crested Pochards x 2 at Titchwell RSPB. Sand Martin at UEA, Norwich. 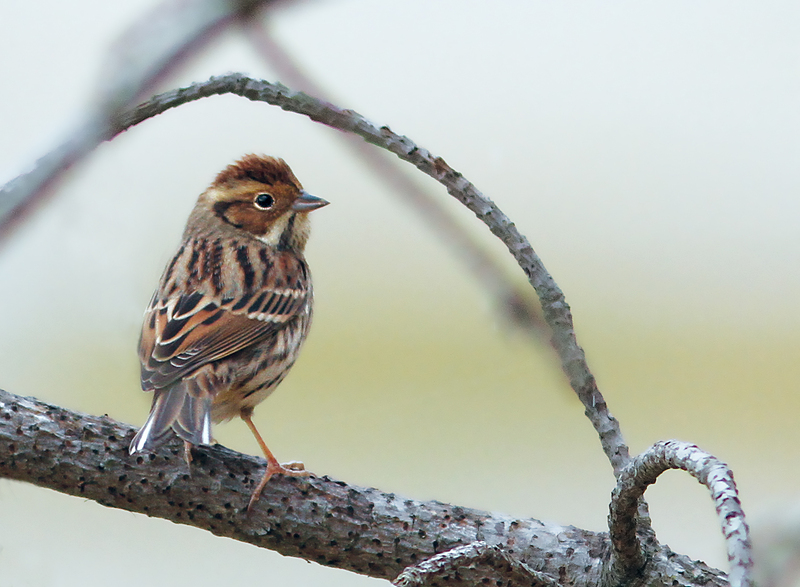 Lapland Buntings x 3 at Weybourne. Richard's Pipit, Rough-legged Buzzards x 3, Common Cranes x 2, Hen Harriers x 2, Tundra Bean Goose at Breydon Water. Hawfinches x 12 at Lynford Aboretum. Rough-legged Buzzard, Hen Harrier, Short-eared Owls x 4 at Halvergate Marshes. Iceland Gulls x 2, Snow Bunting at Weybourne. Garganey, Water Pipit, Snow Bunting at Titchwell RSPB. Rough-legged Buzzards x 2 at Belton. Lapland Buntings x 2, Little Gull at Happisburgh. Twite x 10 at Thornham Harbour. Yesterday's 'Probable AUDOUIN'S GULL' at Richmond Bank, Cheshire and Wirral is an atypical adult Herring Gull – (probably not Audouin's Gull). I didn't sleep well at all, everything racing through my mind. Got up early, had breakfast in the restaurant (getting used to this!) and then went into town to buy a hairdryer, some clothes rails, free clothes hangers from Dorothy Perkins and M&S, as all mine have been thrown. You wouldn't think smoke would affect clothes hangers, but as I discovered, smoke affects every single item in your house. Went to buy Father two pairs of lighter weight trousers and this time, he will be wearing them! Next stop to the laundrettes (such an exciting day, when I should be out in the sunshine, looking for early Spring migrants!) to collect my duvets, pillows and camera bags. Back to my house to continue putting all my furniture and possessions back to how they were. Unloaded the car and continued to sort the house until after lunch. My sister Vivien was doing Mother's food shopping for her, as Mother can't leave the house at the moment. I picked up a couple of things that Vivien couldn't get and went to visit everyone at Holme. As I drove through Hunstanton it looked like a bank holiday Monday! The warm sunshine had brought the crowds out! Picked up a cheese & onion pasty from the bakers in 'sunny hunny' which wasn't particularly appetising, but it filled a gap. At Holme, both Father and Mother were dozing, both whacked out from the difficulties they now both face. I didn't really see much of Vivien, which was a pity. I cut Father's finger nails for him (I do a better job than M.!) Told Father about the five Garganey at Titchwell and tried to get him interested, but he just looked so sad, which is hardly surprising is it – he can hardly see and now is he is almost immobile and relying on Mother to stern him back and forth from the chair, commode and bed – not much of a life. I showed him some excercises for his legs, so they don't seize up, hope he does them. A District Nurse should have come out yesterday to give Father a Clexane injection, but they didn't turn up until today and when they did, they hinted that Mother could do this and they would show her how..... NO, she won't be as far as I'm concerned – she has enough on her plate, it's not her job to be doing that and she was worried about this. I will be straight on the phone, if she is pressurised into doing this and the mood I'm in, it won't be a pleasant conversation! Collected all my personal items from Mother's box room and loaded into my car and took back to my house, unpacked and put everything away. Heated up some soup with two slices of toast and watched the second half of 'The Voice' and then returned to the hotel for the last night and breakfast. 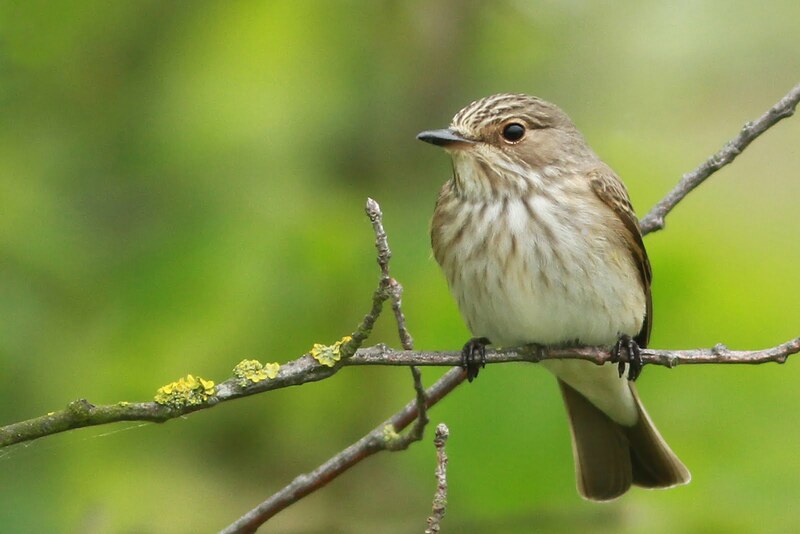 I might, just might go birding tomorrow before I completely have a break down, although I feel like I am already to be honest. 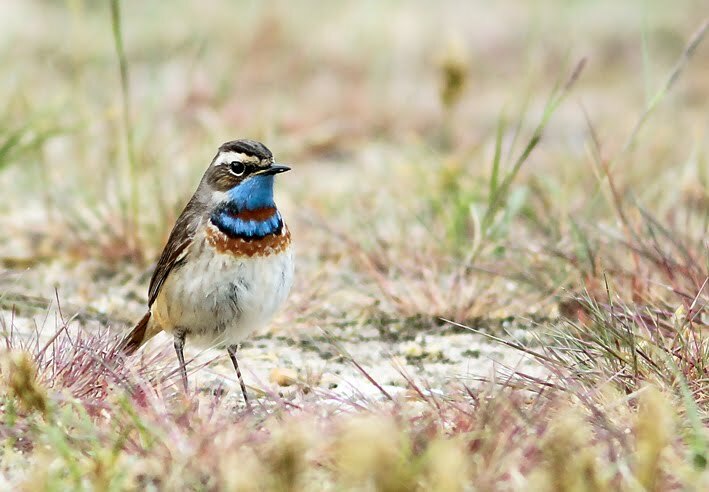 It sounds so lovely to hear that five Garganey have been found at Titchwell and a Turtle Dove was heard singing at Kelling – how wonderful that Spring has begun! Also someone saw and photographed several Adders, fresh out from hibernation. Garganey x 5, Water Pipit at Titchwell RSPB. Iceland Gull, Snow Bunting at Weybourne. Richard's Pipit, Rough-legged Buzzard, Spotted Redshank at Breydon Water. White Storks x 2 esc. at Surlingham and then Strumpshaw Fen RSPB. Snow Buntings x 8 at Happisburgh. Rough-legged Buzzard, Hen Harrier at Haddiscoe Island. Hawfinches x 6 at Lynford Aboretum. Turtle Dove singing at Kelling. MEGA! AUDOUIN'S GULL probable, 11.50am, then flew off, no further sign – at Richmond Bank, Cheshire and Wirral. Its been a crap week and that's an understatement. Cleaning team have been in my house all week. My mattress has been taken away and will be replaced, so I will be on my camp bed when I move back in this weekend. All my clothes have been taken for laundering and I only have the bare minimum with me. All my camera gear is at a specialist's, waiting to be checked when the insurers say I can go ahead. Several items of my electrical equipment are smoke ruined, including hairdryer and hoover. The smoke smell is still in the airing cupboard, as this backs onto next door's immersion heater that set on fire, so have duck taped the cupboard up until their house is fumigated/cleaned of which there is no sign yet! The team of six that came out to my house were all lovely people which was nice. All the smoke filled loft insulation was removed yesterday. Father was discharged home yesterday at 2pm by ambulance – don't know how they got him in the house with all the steps and foliage to duck under, but they did! It was an incredibly stressful afternoon and evening, that's all I will say. Carers coming out four times a day, but by the time they get there each time, Mother had helped Father already with what ever needs doing, so can't see them being needed much longer to be honest. I can't see how she is going to manage him with the sturn aid, which is very heavy to turn on their silly carpets and also because Father is not bringing himself forward enough in standing on the platform, which makes the sturn heavier to turn. Father is not happy with the re-arrangement of the living room at all and declares it will all be going back to how it was! It won't be though, because it can't – the piano is in the hall, the sofa has moved to where that was and a high armchair from the dining room has moved to where the sofa was with a commode next to it. Father has been issued a table as well, as this is where he will be eating all his meals now. Last night Father didn't sleep at all, as his hip was painful and he was not able to turn himself in bed. In the hospital bed, he was able to grab the rails to do this, but with only a bed lever fitted to his bed at home, it was impossible for him to turn himself over. To have a hospital bed at home would have mean't emptying the entire living room. I hope he sleeps better tonight. I have had so many emotional days this week with everything going on and also other stuff I can't talk about yet. Can't take much more of all this. I have to spend the weekend putting my house back in order, buying stuff I need and then I will have to claim for etc. The positives are that I have thrown tons of stuff in preparation for my house move this year. Still coughing, still feel rubbish. Back to work on Monday. Birding.... what is that!!! Bewick's Swans x 15, White Stork esc at Halvergate Marshes. Hawfinches x 11 at Lynford Aboretum. Richard's Pipit, Rough-legged Buzzard at Breydon Water. Little Gull, Snow Buntings x 6, Twite x 10 at Happisburgh. MEGA! FORSTER'S TERN at Newtownlynch, County Galway, Ireland. Richard's Pipit x 2, Rough-legged Buzzard, Spotted Redshanks x 2, Hen Harrier at Breydon Water. White Stork esc., Short-eared Owls x 2 at Acle. Common Cranes x 2 at Titchwell RSPB. Rough-legged Buzzards x 2, Hen Harrier, Short-eared Owl at Halvergate Marshes. A Weasel Hitching A Ride On The Back Of A Green Woodpecker!!! Bowhead Whale off Scilly - A First for Britain and Europe! Rough-legged Buzzards x 2, Short-eared Owls x 3, Barnacle Geese x 3 at Berney Marshes RSPB. Waxwings x 2 at Wymondham. Rough-legged Buzzard, Eurasian White-fronted Geese x 20, Velvet Scoters x 2 at Holkham. RBA Weekly Round-Up 25th February to 3rd March!